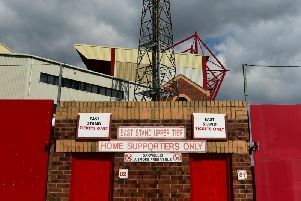 Fleetwood Town boss John Sheridan says he would like to stay at Highbury long- term but stressed he has only one aim right now – keeping the club in League One. Relegation escape specialist Sheridan was brought in for the final 13 games of the campaign, replacing Uwe Rosler. And his focus now is on picking up three points against his old club Plymouth tomorrow and lifting Town out of the drop zone. The former Oldham boss is not thinking about his own future right now, but he might have more to say about a long- term gig come May if he has kept Town up. Asked if he would like to stay at the club long-term, the 53-year-old said: “Yeah. When you are an outsider, and you have played against them and managed against them a few times, you only hear good things about Fleetwood Town. “It is a really good club, the surroundings and everything about it. “But I don’t even want to think about things like that. I want to think about the next game, get three points and move on to play Charlton, hopefully another three points and keep us in the league. “We will see what happens but hopefully I can be talking here in May about us staying in the division. That is what I am looking at. Sheridan steered tomorrow’s opponents Plymouth to League Two survival in the 2012-13 season, having arrived there in the January. He is proud of his work to stabilise Argyle, where he enjoyed top-10 finishes. He said: “The first time I went into Plymouth they were in a similar position (to Fleetwood). They were at the bottom of the league and going into the Conference. “I got them in a very stable position, kept them up and ended up getting them in the play-offs. I left them in a good place. They have an excellent chairman, who knows how to run the club. “I have just got to concentrate on Fleetwood. I have come in with them in a vulnerable position and my main objective is just to keep them in the league.